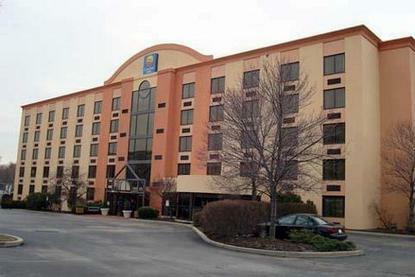 Nov. 2007, newly renovated hotel within 1 mile of Valley Forge National Park. Hotel offers complimentary Wireless Internet Access, Deluxe Continental breakfast featuring Hot Belgian waffles, on-site fitness center plus Complimentary access to Bally's Total Fitness. Each guest room provides microwave, refrigerator and in room coffee. Guest laundry facility also on-site. Our convenient location allows for easy access to all major highways including Rt. 202, Rt. 476 and the PA Turnpike. One adult 21 or older in each room.